Commercial locksmith solutions for businesses. Out high security commercial locks are hands-down the best product we offer for businesses of all types. These special locks provide the ultimate security needed compared to the old standard locks. They are unable to be picked, bumped, or tampered with. The intriguing part about this type of lock is the key system they use. They are only able to be duplicated by authorized personnel – making them unique. This type of lock systems’ key looks similar to that of a credit card. This card has the information the locksmith needs in order to make a duplicate key. The person carrying this card will be able to order additional keys when he or she needs. At Downtown Locksmith, we are here to help you with your locksmith needs 24 hours a day in . Each of one our professional locksmiths has extended experience working with Panic Bars. They are licensed and insured, and use the latest technology to get your problem solved fast and safely. Look no further when it comes to locksmiths – we pride ourselves in making you feel safe because we know it matters! Get a Panic bar installed today by our expert locksmiths . 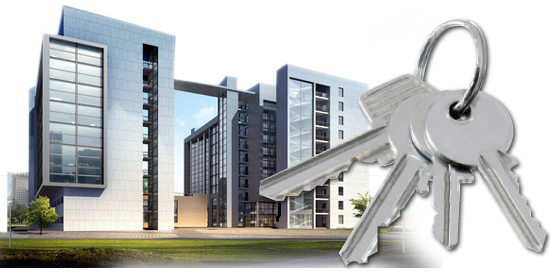 Our Master Key systems will allow you to use 1 key to open any lock in your Residential or Commercial property. We provide the best service in the industry for Mastery key systems, and our technicians will have a solution for you fast. Get in touch with our locksmith professionals and get a better locksmith solution today. You’ll be glad you did. It may go without saying, that if you own a property and someone was evicted, you want to re-secure the location. We provide excellent service for re-securing your locks. We provide solutions for Realtors as well to gain access to homes while showing to prospective clients. Give us a call 24 hours a day and we’ll find a solution for your need. Don’t hesitate to give us a call today! Contact us now for commercial locksmith solutions !